Madrid, New Mexico is a small, charming town between Albuquerque and Santa Fe along the Turquoise Trail. Heading east out of Albuquerque and north along Route 14, the Tinkertown Museum is often the first stop on the way to Madrid. A day visit to Madrid is well worthwhile, whether you're traveling solo, as a couple or as a family. The old coal mining museum and its artifacts are a fun draw for kids, and adults love the shops with arts and crafts and one-of-a-kind treasures. The old western buildings are interesting, and kids love the Jezebel Soda Fountain and Deli, where the soda fountain offers milkshakes, soft pretzels and more. To get to Madrid from Albuquerque, take I-40 east to exit 175, drive north 27 miles. From Santa Fe, take I-25 south to exit 278A, drive south 19 miles. The historic village of Madrid was once a coal mining town. 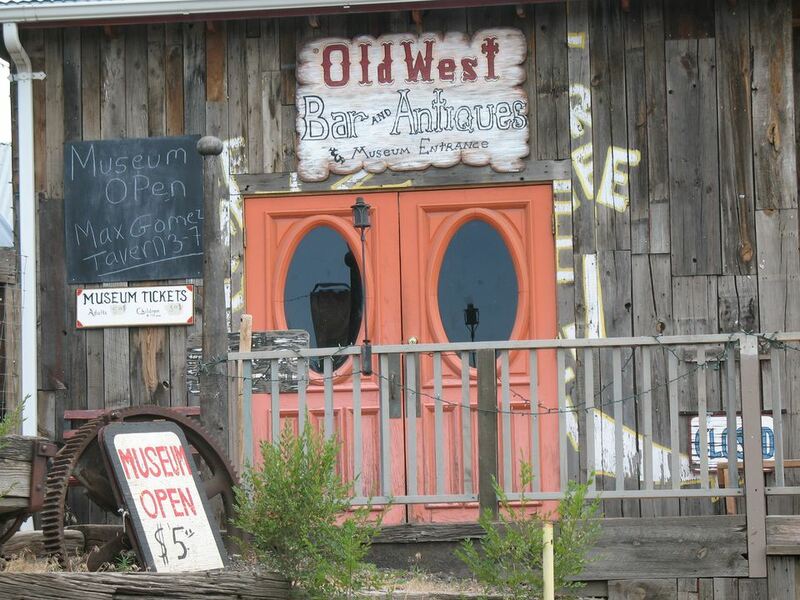 With a coal mining museum, over 40 shops and galleries, restaurants and lodging, it has become a popular destination along the Turquoise Trail. Madrid, New Mexico is a distinctive artists' community and makes a great destination for a day trip along the Turquoise Trail. Nestled in a narrow canyon of the Ortiz Mountains between Albuquerque and Santa Fe, the village that was once a historic coal mining town is now an artist community. It features more than 40 shops and galleries, a coal mining museum, and even a few old saloons. Both hard and soft coal was mined in Madrid, beginning in the mid-1800's. The area boomed, supplying coal for local consumers and the Santa Fe Railroad. When it was in its heyday, Madrid was known for its Fourth of July parade and lighted Christmas displays. It also held minor league baseball games in the first lighted stadium in the west. Then coal use declined and Madrid became a ghost town, with empty houses dotting the roadside. The town was empty for about 20 years. In the early 1970s, Madrid began its transformation to the artist community it is today. The old stores and houses were converted to shops, galleries, and homes. Some of its old traditions were brought back, and it celebrates every Fourth of July with a parade and every Christmas season with weekend festivities and Christmas lights. Today, the village is a fun destination. Along with its picturesque shops and galleries, there are restaurants, bed and breakfasts, a grocery store, museum and a saloon. The Coal Mine Museum contains mining artifacts and antiques and stepping inside feels like stepping back in time. See an antique steam locomotive, antique cars, and trucks and old mining equipment. The galleries include a wide array of art, from fine oil paintings to folk art. As fits a mining town, shoppers can find jewelry that features turquoise from the nearby mines. Coffee drinks include hot or cold espressos and cappuccinos, mochas and more. Find burritos, sandwiches and light fare. Along with an old-fashioned soda fountain, you'll find ice cream and a food parlor at Jezebel's. Known for its green chile cheeseburgers, the Mine Shaft Tavern also has live music and locally brewed beer on tap. The Hollar is a restaurant that provides a taste of the south.